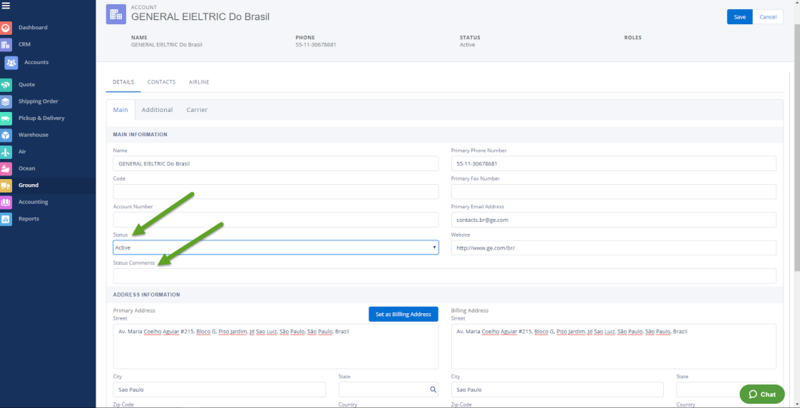 In this quick tutorial, we will explain how to create a new Account using Linbis Logistics Software . Account in Linbis is a record of entries to cover transactions involving a particular person or an entity, such as shipper, consignee, courier, airline, agent, trucking company, broker, ship-lines, etc. 1- Click on the CRM module. Once inside, on the Account section can be add any shipper, consignee, ltl carriers, courier, ship-line, tracking company, airline, etc. 2- Go to NEW and create an Account. 3- Then fill out all the information, name, address,phone, email, etc. -On the status section, it can be define it as ACTIVE, On HOLD or INACTIVE and put some comments as well. 4- Then assign a different Role, such as consignee, shipper, agent, customer, etc. 6- On the contacts section, all others additional contact information. 8- Now SAVE the transaction. -The Account must be save with the most relevant information on the top of the screen. Congratulations!!! You have successfully created your first Account.